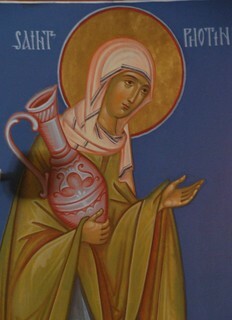 The Gospel lesson about the Samaritan woman, whose name we know from tradition is Photini, at the well offers to us a good example of the multiple levels and layers at which Scripture can present an issue. Literally you have a Jewish man and Samaritan woman conversing, which would have been socially unusual if not completely socially unacceptable. One is thirsty, the other has the means to draw water from the well. But the conversation in the story quickly reveals that though they begin talking about the well, water and thirst, these are all also metaphors for the spiritual life. Jews and Samaritans shared the texts of the Torah, though perhaps in slightly different versions with differing interpretations. So Jesus and the Samaritan woman begin discussing “tradition” and how their respective groups understand even the Patriarch Jacob. And in literature of that day the Torah was oft referred to as a deep well from which believers draw refreshing waters. 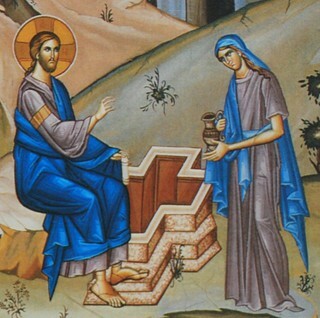 So there is metaphorical imagery abounding in this Gospel lesson as Jesus and the Samaritan woman engage in a conversation whose underlying question is “what are we talking about here? – Well, Torah, tradition, customs, truth, godliness? The woman becomes convinced Jesus is the messiah, which is another of the many layers of conversation in the story. Yet for both Jews and Samaritans, a woman is an unlikely candidate for discussing issues of Torah and godliness, especially not this particular sinful woman. These issues are normally and best discussed by males – rabbis – in schools where they are trained in these topics. Yet, Jesus has in His words freed the topic of truth and godliness from enslavement to Jewish or Samaritan tradition – to Torah. Truth and the worship of God are not limited by space (Jerusalem or Samaria). For Christ all along has been talking about Spirit which is not confined by the written letter of the law. BUT SHE FOUND ANOTHER LIFE-GIVING STREAM FLOWING DOWN FROM THE WELL OF HEAVEN. WHOSE STREAMS WOULD EXTINGUISH THE FLAMES OF PASSION! There is in the lesson the perishable well – normal water which quenches physical thirst. The kind of well that can run dry. 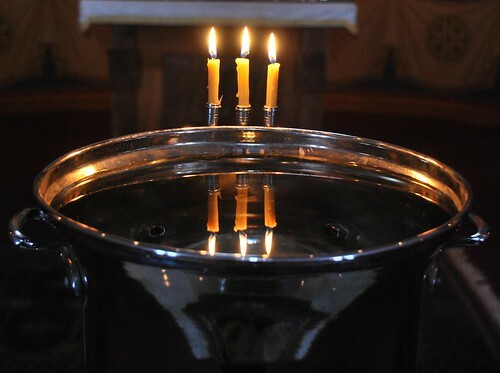 There is also the deep stream well of heaven which slakes spiritual thirst – it is a well that cannot run dry. The well of heaven is an unusual image – we normally think of wells being dug into the earth – so we dig downwards. The well of heaven – is its opening found in heaven with its depth reaching down to earth? OR is its opening on earth and strangely reaches into heaven? Water leaps from the well of heaven – it is a spring which flows into our hearts. The well of heaven has one end in heaven and one in our hearts, or perhaps it says that heaven itself is accessible through our hearts. Heaven is not out there – in the vast reaches of outer space, but is rather the place where God dwells.